Deborah Robinson Lecturer in Fine Art, Plymouth University. Transpositions combines notions of alchemy, philosophy and the latest scientific imaging techniques into the cellular development of an aquatic embryo. Deborah Robinson is an artist who collaborates with scientists to create artwork in a variety of media that includes video, sound and projections onto liquid. This exhibition brings together work from different projects, each of which dynamically explores transposition ' changes based on exchange of ideas, places and contexts. The dynamics of each collaboration generate artistic experimentation with scientific process, method and output - filtering and re-presenting ideas to make new meanings. 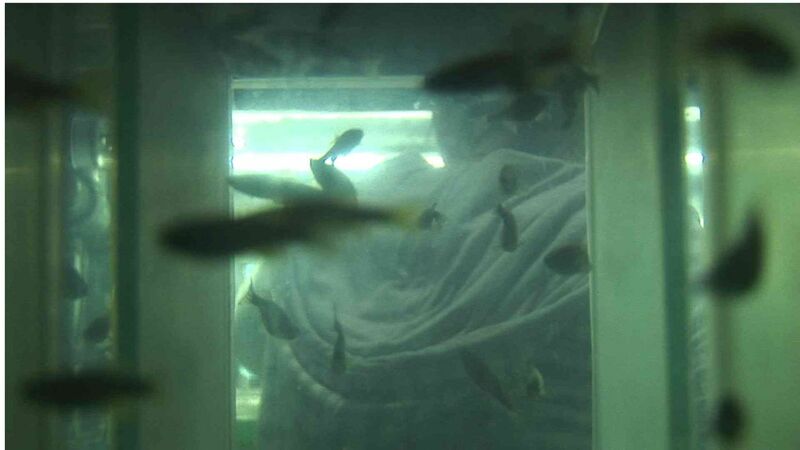 Currently Deborah is Artist-in-Residence with scientists from Marine Biology, Plymouth University.